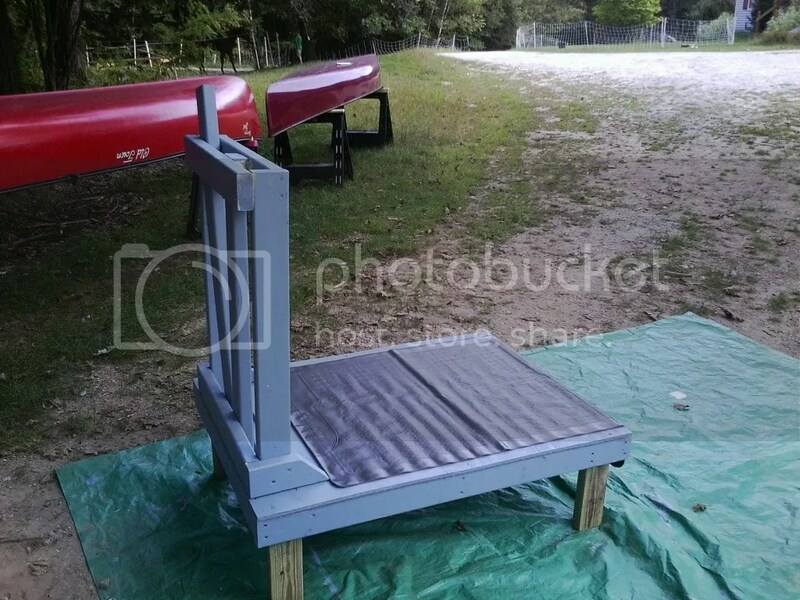 Earlier this year, we found a great deal on Craigslist for an old metal double milking stand that has worked great. Both of our girls can work simultaneously on their goats, whether clipping hooves, trimming hair, washing, or whatever. However, with the county fair coming up, we realized that the stand (which is about 10′ long and probably a good 100lbs+) wouldn’t work for that. 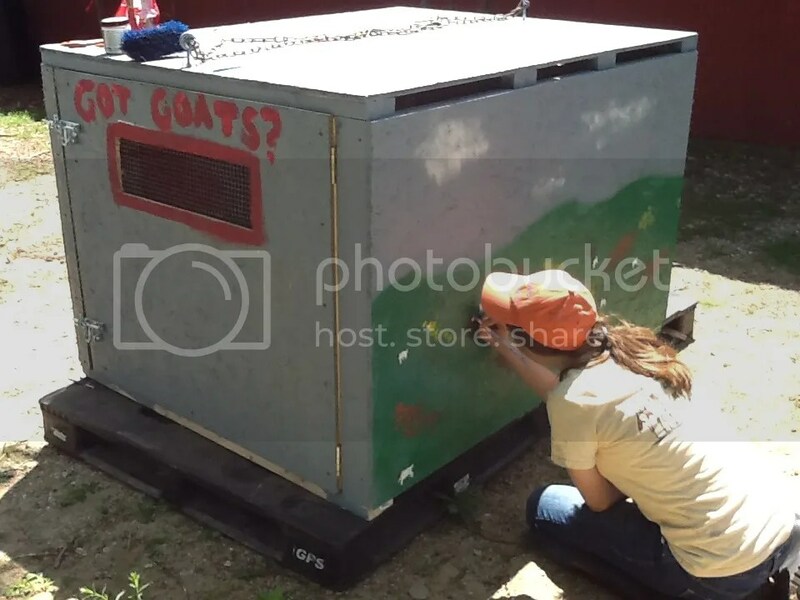 We needed a stand that could handle a 200+lb Boer yet still fold up small enough to fit in the truck when our goat transport box was in the bed. We found a good number of options. There are some great portable folding milking stands available, and their prices reflect their quality. The ones that fit in our budget didn’t look like they’d handle one of our goats for too long, and the ones that could stand up to heavy use were well outside our budget. But I’ve got OK handyman skills, and woodworking and welding tools out in the garage, so I started to comb the net for plans. I had to cut the metal ones out of the picture pretty quickly because of how expensive steel is right now. The wooden plans I found weren’t quite what we were looking for. I did find an interesting plan made from PVC, but though that might work well for a smaller milking breed, I think one of our does would make short work of it. With the fair fast approaching, I still didn’t have an option. That’s what graph paper, rulers, and pencils are for. So, after a literal trip back to the drawing board, and another to Home Depot, we were ready to start. We used plain-jane 2x4s and plywood for construction (with the exception of the legs, which I cut from pressure-treated lumber). Total cost for supplies was about $45, including a pound of screws and two long bolts used as the pivot and adjustment pins for the stock. Here’s the result, with Gracie locked in. 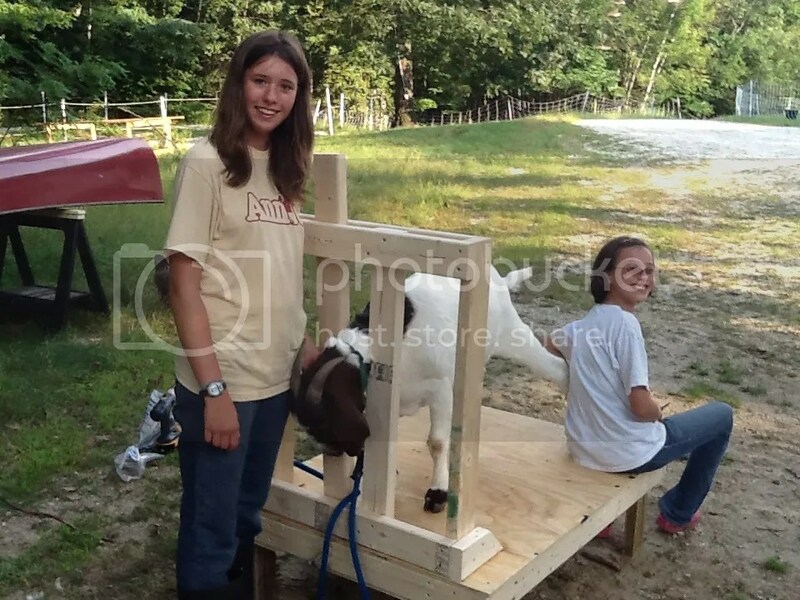 And here are the girls taking a break to pose while putting the stand to work as they trim Gracie’s hooves. Because I tend to overdesign things (the kids were joking that if the hurricane in Florida moves North, they’ll use it as a shelter), it’s probably a bit heavier than it needed to be. In fact, as I realized how stout it was, I actually took a few of my planned structural reinforcement pieces out of the plan. 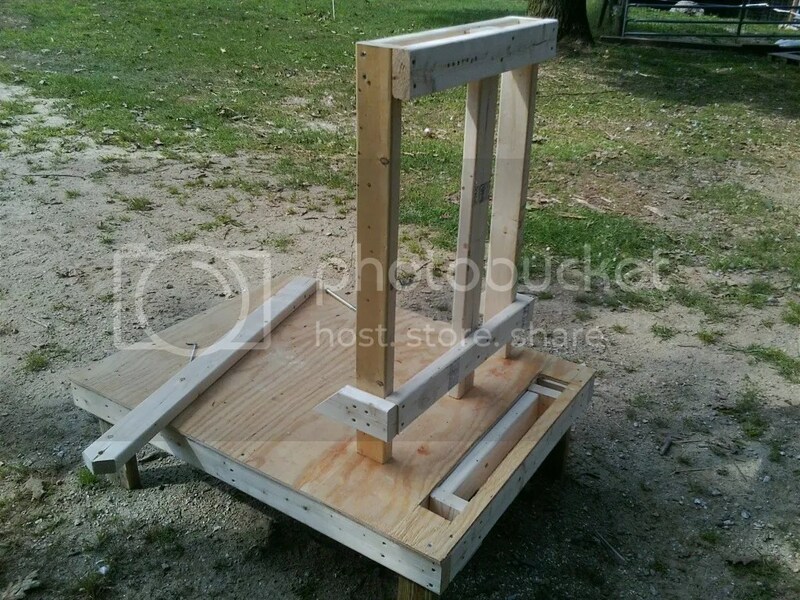 The magic of the stand, however, is that it disassembles to pack flat – into a space about 3′ x 4′ x 10″ by sliding the legs and stock assembly out of the base. The four legs slide out also. The kids are in the process of painting and decorating, so this is how it looks right now. I’ve still got a few tweaks to do (the stock is a bit too narrow and I plan to add a feed tray and some equipment hooks) but it’s ready for the fair. It took most of a day to get the project from concept to paper to assembly, and we’re pretty happy with the payoff for the effort! GREAT PROJECT you Flying T hands have accomplished. The creating, building, and use of the first one brings, afterward, small improvements in its design to render a complete success. 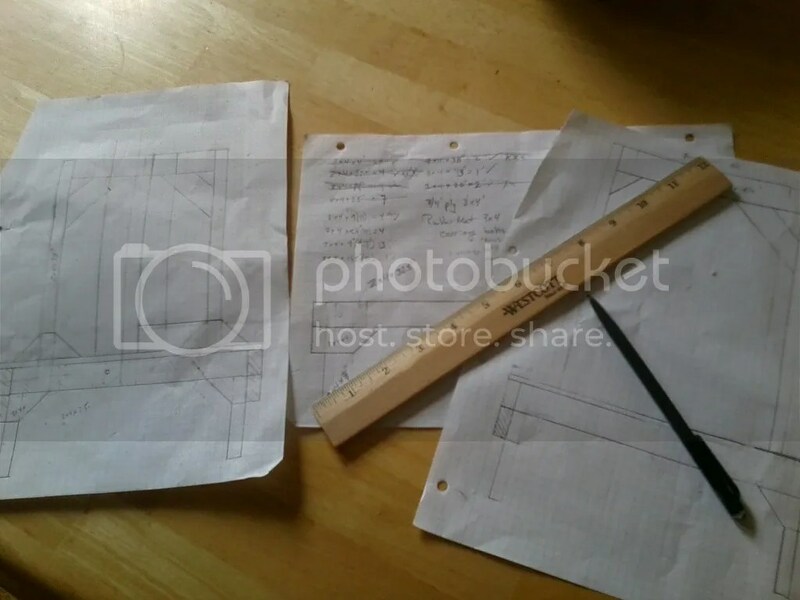 Then it is on to making a smaller design for dogs and cats, or larger ones. Have you ever tried to put Front-line anti-flea medicine on a cat.? Having gone through the process I experienced in designing systems during my business career it was defining what is needed as the end result. Then back to the beginning of the process, defining the inputs (a goat, etc, little cash, little time. etc.) . ), the requirements necessary (holding the animal in place), then conceive getting from here to there. Thanks for the kind words, Pappou! The kids rolled over laughing when I suggested making a mini version for the cat. But it should would make clipping claws easier! OF COURSE. You now have use creative vision to determine other uses of those designs you have proven successful. Ramp it up, down, whatever. It’s about capturing 1,000,000,000,000 frames-per-second video. You can thus get slow-motion video of the motion of light through space. !!! Forget the cats, this looks good enough to hold the youngest kid (human) in place so you can fire hose him clean on a weekly basis. Now that idea has promise! Good idea I should try something similar for showin my goats. It would be very cost effective for us and the portablility would be AWESOME. We would enjoy to have a stand but we can’t afford the stands for sale from a retailer. 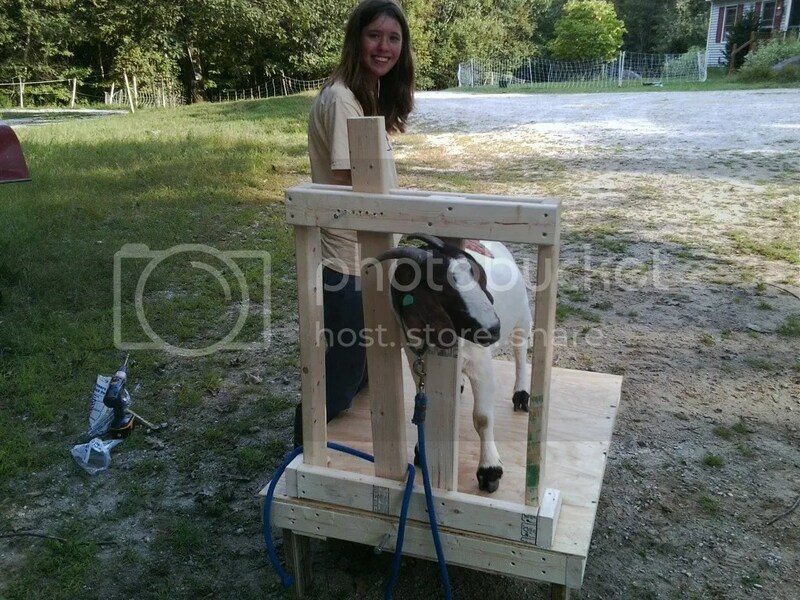 Here’s another one from Fussbudget Farms – it doesn’t look like it’s collapsible, but if you have smaller goats, this one gets them up higher to a more comfortable working level and incorporates a step so you don’t have to lift them up to that height.